Bonuses are not just for first time depositors at Carbon Poker. Between August 1st and 16th, any current player who uses the promo code: ‘AUG1000PK’ will receive a 100% bonus up to $1,000. Enter the code ‘AUG1000PK’ in the cashier when making a deposit. This bonus is claimable until 11:59 PM server time on August 16th 2013. 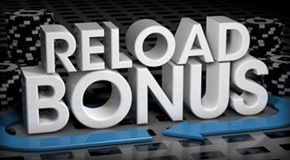 Bonus awarded in $5 increments and completed after earning 100 VIP points for each dollar of the bonus amount. The bonus is expired if a withdrawal is made before the playthrough is complete. When clearing your bonus, there is a minimum VIP point requirement of 100 points per $1 of bonus. Bonuses award cash in $5 increments, deposited into your account after earning 750 VIP points. (100 VIP points per $1.00 paid in rake x 5). Active bonuses expire on withdrawal. Active bonuses expire on date shown in cashier, typically, 90 days after activation. CarbonPoker bonus codes must be entered in to the cashier at time of deposit.